It is eleven weeks since President Vladimir Putin visited Brisbane, Australia, for a summit meeting of the G20 states. Putin was escorted in the Coral Sea, east of Brisbane, by a Russian Navy flotilla making the longest deployment of the Russian surface fleet ever displayed. Including Russian submarines shadowing the flotilla, this was also the most powerful Russian force ever to practice aiming at targets on the Australian continent operated by the Australian Defence Forces, the US military, or the two at bases they operate together. Because these bases run in secret, most Australians had no idea what was happening, and what was changing. The Australian media – controlled by three proprietors — Rupert Murdoch; the government; and until February 6 a mining oligarch called Gina Rinehart — didn’t alert them. For the story the Australian and Russian press didn’t report, click. The Russian Navy off the Australian east coast in November was armed with ballistic and cruise missiles, with nuclear warheads capable of striking every US warfighting base on the Australian continent, plus the Australian cities. Like Putin, the flotilla withdrew northwards to base on November 16. They left behind a death ray which is destroying the local politicians most hostile to receiving Putin at the summit. On January 31 Campbell Newman, premier of the host state Queensland, lost his seat in a provincial parliamentary election, and his party was ousted from its governing majority. In Canberra, the national capital, Australia’s Prime Minister Tony Abbott has fallen in the national polls to trail his political rivals by 15 percentage points. On February 9 he narrowly survived a no-confidence vote by his own party deputies; he now faces a revolt by his party’s senators threatening the government’s majority in the upper house of the Australian parliament. For the election purpose these men thought public display of Russophobia might serve, read this. Foreign Minister Julie Bishop, whose attacks on Putin between March and November of 2014 helped lifted her name recognition and performance rating among Australian voters, has recently lost ground to party rivals for the prime ministry; they left Putin unmentioned. For Bishop’s record, read this. For her poll decline, click. Abbott and Putin, November 15, 2014; Mikhail Gorbachev posed alone with a koala in Brisbane in July 2006 when the then Prime Minister John Howard refused to meet either of them. The strategic purpose of the new submarines, according to the US Pacific Fleet commander, Admiral Harry Harris, is to combine with the US fleet to attack the Chinese Navy and threaten China. 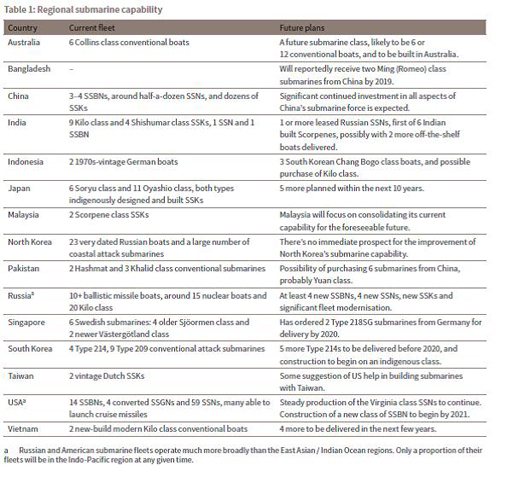 Presentations to the Australian Strategic Policy Institute (APSI) by a group of US Navy officers and US consultants in Canberra a year ago emphasized that it is US strategy to deploy the proposed new Australian Navy submarines for “strategic effect through offensive operations …by operating forward and up-threat.” Discussion during the presentations identified Russia as a “forward” target, as well as China. “Up-threat” was military jargon for preemptive attack. Several years on, the APSI papers reveal that Australian-American targeting of “Putin-Class submarines” extends, not only to China and Russia, but also to Vietnam and possibly Indonesia. 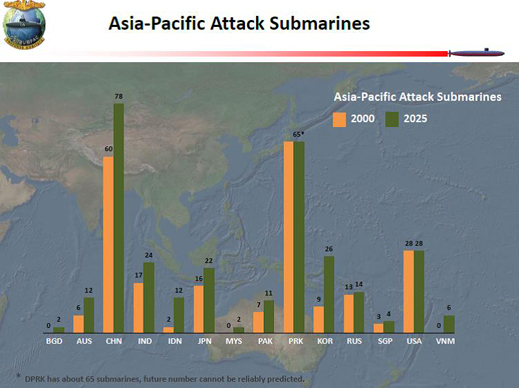 A US Navy presentation of the flags of the attack submarine fleets in the Pacific and Indian Oceans indicates that much faster growth is planned for the submarine fleets of US allies – Australia, Indonesia, Japan, and South Korea – than for Russian allies – China, India, and North Korea. Abbott’s preference for Japan — an enemy threatening invasion and occupation of Australia until 1945 — over the Australian Submarine Corporation (ASC) shipyard in South Australia has triggered opposition among local naval analysts, as well as steel and shipyard constituency revolts around the country. If a national election were called today, in the state of South Australia Abbott and his party would be annihilated. The ASC yard at Osborne, South Australia. The “Vladimir Putin submarines” to which Abbott referred last week are currently operated by the Russian fleet based at Vladivostok. Russian built analogues and domestically modified designs of “Putin class” submarines are also operated by the Chinese and the Indian Navies. All are capable of launching nuclear-armed missiles, some by ballistic trajectory and some by cruise flight. According to a survey of Russian naval experts this week, all three submarine fleets now have the launch capability to strike the bases in Australia on which the US depends for warfighting in the southern hemisphere. The Russian plan currently calls for six Borey-class attack submarines – three, the Yury Dolgorukiy, the Vladimir Monomakh (below, left) and the Alexander Nevsky (right) – are already operational. Each armed with 16 intercontinental ballistic missiles, the primary mission of these craft is to attack the continental US and US nuclear bases in the north western hemisphere. By the time all six are deployed in 2018, one is likely to target US bases in Australia. A new Australian submarine fleet moves this targeting up the probability scale from likely to certain. Russia does not export missiles with longer than 300-km range; this is a requirement of the multinational Missile Technology Control Regime of 1987; Russia adhered in 1995. According to Alexander Mozgovoy, editor of National Defence magazine in Moscow, the Russian submarine fleet already has the capability to strike all Australian targets. The Chinese Navy has developed its own missiles with range of between 1,700 and 2,500 kms; they too are within strike range of Australian targets. The Indian Navy’s missile ranges are more restricted in line with their traditional targeting on Pakistan. However, the Indians are expected to have their own long-range missiles aboard submarines which will operate at the eastern reaches of the Indian Ocean, as well as in the Pacific, south of China. 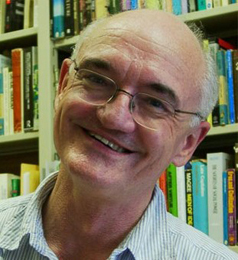 Gennady Nechaev, a military analyst at Vzglyad in Moscow, acknowledges that the extent to which Australia is a carrier for US military operations against China and Russia, makes it inevitable that Russia, China and India will deploy counter-measures, particularly against Pine Gap, in central Australia. In this essay Nechaev reviews the growth of Russian, Chinese and Indian aircraft carrier strike forces. He concludes that current Kremlin thinking favours investment in submarines over aircraft carriers. Indian and Chinese calculations are a little different. 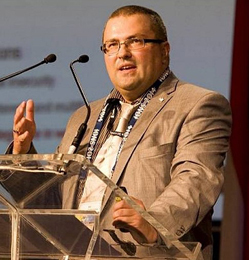 Nechaev is sceptical that the Putin flotilla in the Coral Sea last November was accompanied by a submarine. The Russian Navy declines to comment. 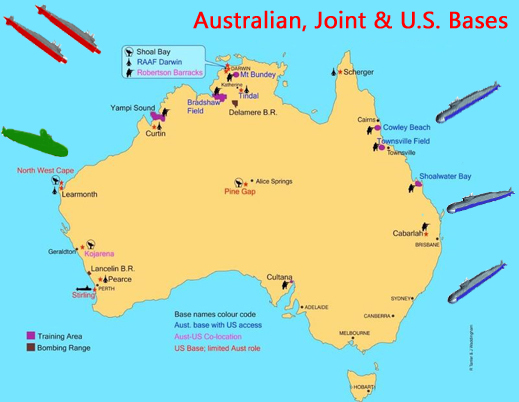 Nechaev is more confident that as Australian bases and weapons are expanded for new US strike strategy, they will be countered by Russia, China, and India. 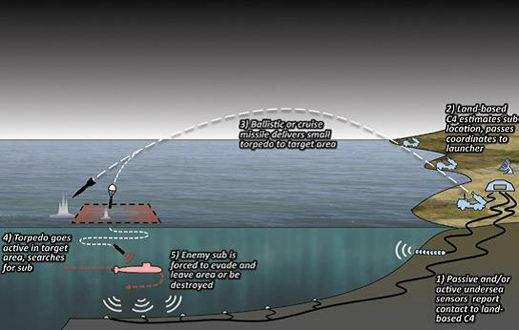 Also, as the Putin submarines approach firing range, they will be undetectable. This is confirmed by evidence of recent failures by US, UK, Swedish and NATO submarine defence units to find Russian craft off the coast of Scotland, and within the Swedish archipelago. A Russian submarine threat to Australia also went undetected in a study of “Indo-Pacific rivalry” last August by the normally Russophobic Lowy Institute of Sydney. In this analysis China is Australia’s enemy; India Australia’s ally. The Ukraine war rated a passing mention; Putin submarines were ignored.